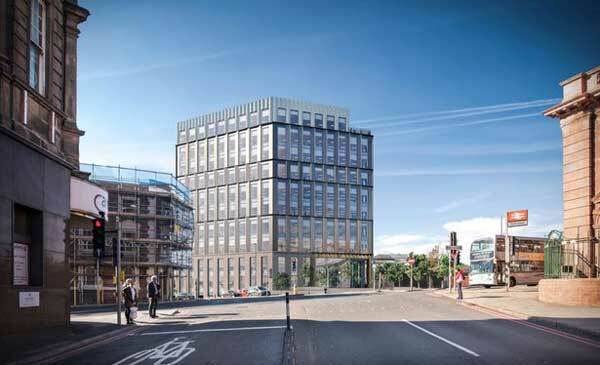 Detailed plans for a major new office development opposite Nottingham railway station have been submitted to the City Council. Known as Unity Square, the scheme will consist of two commercial buildings standing 10 and 13-storeys high. The scheme has been submitted by Peveril Securities and Sladen Estates. The developers believe it will advance the City’s £250M Southern Gateway regeneration project, which includes work on the intu Broadmarsh Shopping Centre. Peveril Securities Managing Director Ralph Jones said: “It is an exciting time for Nottingham with many significant schemes on the horizon and cranes are expected on the Unity Square site in the next 12 months. Sladen Estates Chief Executive Nick Sladen added: “The city council has been proactive in supporting the scheme which has generated strong interest from a number of office occupiers.